Welcome to Rolling Cascades Farm - cultivators of ITEM 9 cannabis. We are an eco-friendly, family owned and operated farm, using sustainable practices and all natural materials. It's our passion to consistently bring you the highest quality cannabis our Cascade range has to offer. Our ladies live a happy and healthy life, which in turn gifts us with the most beautiful, fragrant buds. Our passion is cultivating premium quality cannabis. Southern Oregon is arguably the ideal climate for premium cannabis cultivation. It is well known that outdoor gardening creates healthier, stronger plants that produce a greater yield. Native, living soil offers the purest nutrients; add the unparalleled power of the sun and you have something special. Through the culmination of using all organic materials, sustainable methods, and optimized nutrition, Rolling Cascades Farm is dedicated to producing only the highest quality cannabis. We believe in environmentally responsible farming methods, which is why we collaborate with our surrounding ecosystem and its resources to promote the healthiest equilibrium possible. We have developed our soil building and gardening techniques for nearly 20 years. ITEM 9 Cannabis from Rolling Cascades Farm is grown in our native soil and amended only with regionally sourced organic materials. Our concept is simple: we feed our soil and our soil feeds us. Water is a precious resource we use judiciously. Because we are located in a drainage basin, our water is collected passively without the use of a pump. Our water wise irrigation system, combined with soil heavy with organic material, enables our garden to produce healthy plants with less water. Again, we find that 'better for the planet is better for all'. Nothing beats the 386 billion billion megaWatts provided by the sun! As an all natural farm, we avoid another major environmental impact by growing directly under the sun. Naturally grown cannabis is ideal as the sun's light spectrum produces more terpenes and cannabinoids, increasing the fragrance and potency of the flowers. 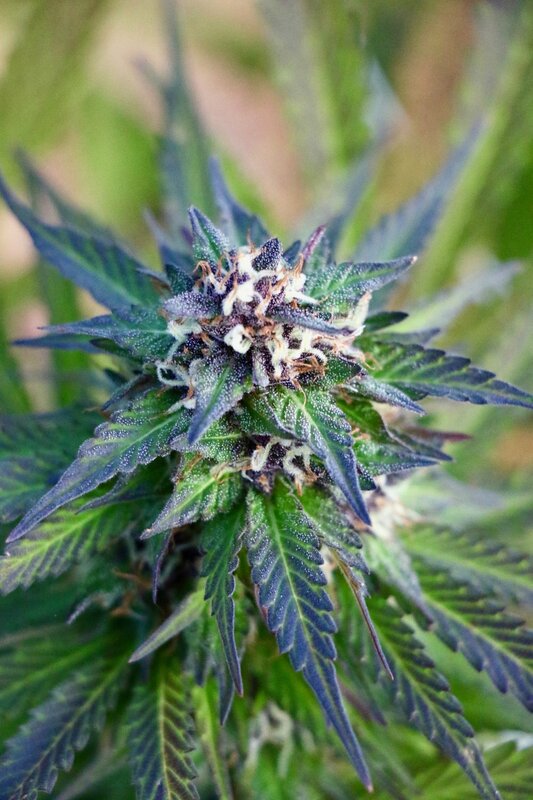 At Rolling Cascades Farm, we genuinely believe that our sun grown cannabis is among the finest in the world. Coming soon . . . Solar power! We work tirelessly to give the ladies at Rolling Cascades Farm the healthiest organic environment possible, enabling them to achieve their full potential. To achieve healthy plants, balanced nutrition is crucial. From beginning to end, we adhere to a rigorous plan of organic growing practices, using quality organic nutrients and materials. As each cannabis plant grows, her nutritional needs will inevitably change. We give great care and attention to these fluctuating needs and make adjustments accordingly so that each is in optimal health. From beginning to end, we are committed to cultivating a product that is pure, potent, and safe for all.